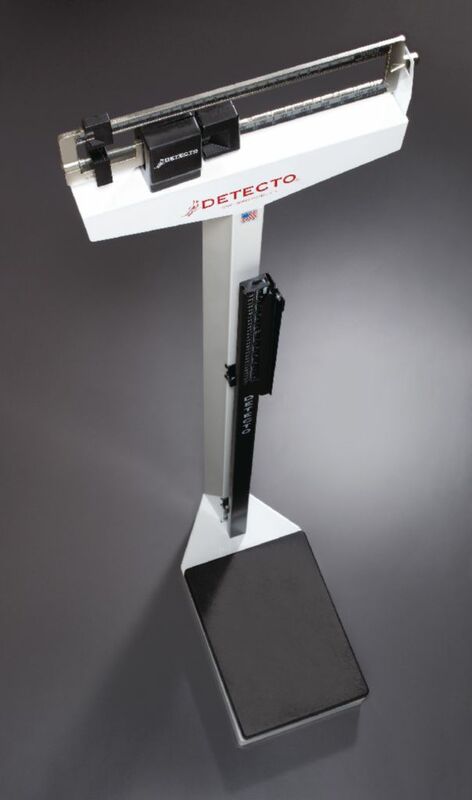 This scale offers professional quality and classroom affordability. The white scale displays height and weight measurements in both English and metric units. It has a weight range of up to 16 kg at 100 g intervals (350 lb. at 4 oz.) and a height rod range of 75–192 cm (30–78"). The scale height is 59".